Northamptonshire Magician & Mind Reader. Award winning magician. 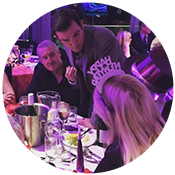 Northamptonshire Magician – Edward Crawford is a full time professional magician and mind reader performing throughout Northamptonshire and the UK. 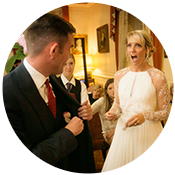 If you’re after a magician in Northamptonshire Edward has both a close up act and a stage show which can be tailored to suit your event whether it is a private party, a corporate event or a wedding. Edward has been performing professionally for over 10 years and performs at over 200 events each year. In 2018 he was awarded an international prize for best guest entertainer for his close up work. His unique and engaging act is guaranteed to leave you and your guests with astonishing memories you will never forget. 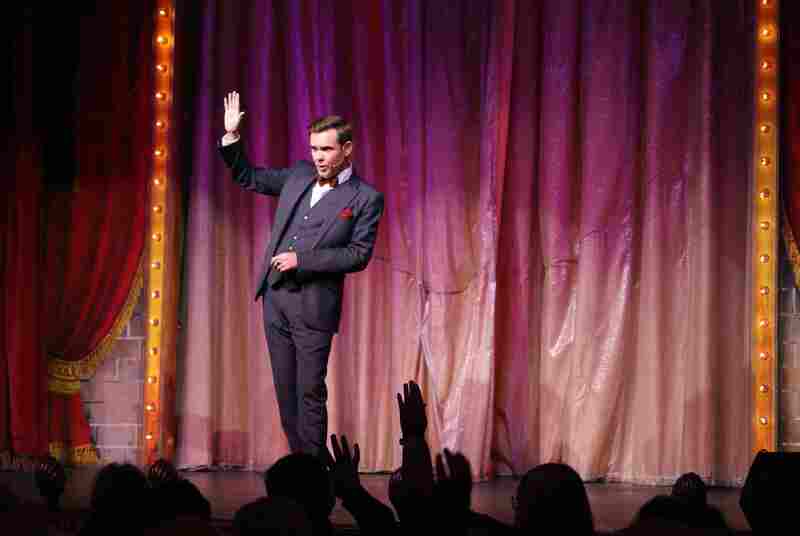 What makes Edward so popular and has allowed him to be one of the few professional magicians in the UK is his unique and grown up style of magic. Edward performs a style of magic known as mentalism or psychological illusion. Best described as magic of the mind. In a typical performance Edward will read minds, maybe he will ask you to draw a picture or think of an old friends you haven’t seen for years, Edward will tell you exactly what you’re thinking. For stage shows he has been known to send a client an envelope through the post weeks prior to the event, during the show the client will be invited onto the stage and asked to open the envelope. They will remove a piece of paper and discover Edward has predicted the headlines of that days newspaper weeks in advance. A favourite routine for Edward is Telekinesis, moving objects with the mind. Not only will he bend coins in your hand but he will even teach you how to do it! All this and much more can be witnessed in Edward’s close up, stage show and dinner show. 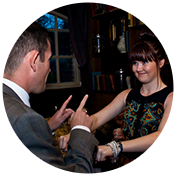 Close up or table magic is ideal for drinks parties, weddings, dinners and private parties. 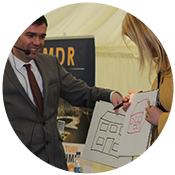 Edward will mix and mingle with your guests engaging them in their own private show. For larger events Edward has a full cabaret show and for smaller venues he has a parlour/dinner show, all the theatrics of a stage show in the smallest of venues. More details about all these performances can be found HERE. 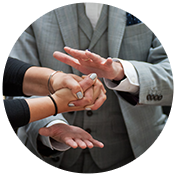 If you wish to hire a Northamptonshire magician Edward can advise you on the best act for your event so you can be assured the perfect entertainment for the perfect day. For more details use the contact form below or give Edward a call on 07814 135569 to discuss the perfect entertainment for your event. Best show I have ever seen or indeed booked. Edward performed at our work Christmas celebration event. 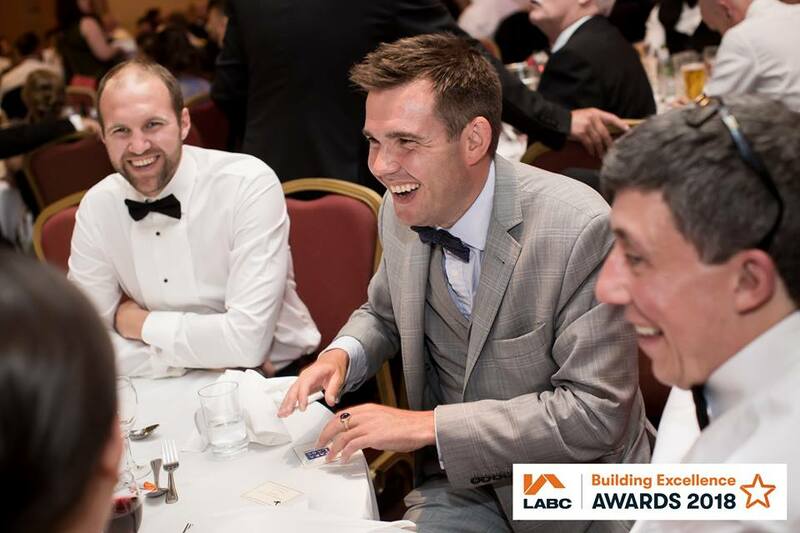 It was a fantastic evening and everyone thoroughly enjoyed it… people have been talking about it for days and days following the event. Wow wow wow!!!! Thankyou so much for such amazing entertainment. So talented, professional and entertaining, everyone so impressed by the variety of tricks performed. Worked his way around so that everyone got involved and left all guests speechless, still trying to figure out how it was all done. Would highly recommend Edward. Thankyou for a fab evening. Last night I had the pleasure to be booked by Redrow Homes Ltd to perform at their end of year celebration. This is a yearly (obviously) event to thank their staff for their hard work and to celebrate the companies achievements. This year the event took place at The Church Restaurant in Northampton. There was roughly one hundred guests, employees of Redrow homes. They required a close up performance during the drinks reception as the guests arrived and at tables throughout the meal. I was on a bit of a tight schedule as they had speeches followed by Karaoke at 9.30pm so I had to be finished by that point, no opportunity to run over if I felt I had missed anyone out. I started as soon as the guests arrived, performing for small groups as they ate nibbles and drank champagne. At 7.30 they were called into the restaurant to eat and I continued to perform at their tables. When performing throughout a meal I will generally perform between courses so I am not disturbing people as they ate. As time was quite tight for this event and I had a lot of tables to get round I did perform duing the starters and dessert course to ensure I got around everyone. Each table received a private show for about 10 minutes. When I finished a lot of tables asked for a further performance, as I didn’t have time to give everyone another show I grouped people together on one of the tables and ended with a finale that one person descibed as the most awesome thing they had ever seen, someone else thought it was terrifying and told me to get out of their mind! Thank you to Christine and everyone at Elevations Exhibitions and design Ltd for a fantastic day. IFor more details on booking a magician in Northamptonshire contact Edward on 07814 135569 or info@www.edwardcrawford.co.uk. On Saturday night I was hired to perform close up magic, also known as mix and mingle magic, during the evening reception at a wedding at the Barton Hall hotel, Kettering. I was hired to perform for an hour and a half, although ended up staying for 2 hours. Whilst it is most common to perform during the wedding breakfast or the earlier drinks reception at weddings the bride and groom wanted me to perform directly after the meal whilst the main room was being prepared for the band to play later in the evening. Throughout the evening I mixed with the guests performing close up magic and mind reading for small groups of people, usually about 5 people. Generally each group would see a ten minute routine, although a fair few asked to see more which is why I stayed an extra 30 minutes to perform a few extra bits for those people. Towards the end of the evening I performed a special routine for the bride and groom. I gathered all the guests around us to watch as this was something I can only perform the once. I then performed what is probably my favourite routine which demonstrates the empathy and love between two people and resulted in gasps of amazement from the audience. It was a fantastic evening and I look forward to returning to this venue again. If you’re after a Northamptonshire magician for your wedding then please get in touch to discuss your event. On Saturday night I was hired by Rational, UK to perform at their annual awards ceremony for staff members. The event took place at Whittlebury Hall Hotel near Towcester. They were after a close up table magician to go around tables during a three course meal. As ever with an event of this nature I arrived an hour early to check out the venue, meet the staff and get a general lay of the land. I always find it useful in advance to meet the serving staff at a dinner so I know how quickly the tables will be served, which table they will start with, how many courses etc. In this case there were 12 tables which meant I would be able to perform at one end of the room whilst the other end was being served, by the time they were serving at my end those served first would have finished eating and I’d be able to perform for them. This means I can get around as many tables as possible whilst ensuring I’m not performing whilst people are eating. For this particular event there was the added element of the awards which were being handed out between courses, this is the usual time for me to perform. So it meant a fair bit of stopping and starting. Ultimately I got around every table even though it meant staying an extra hour. Afterwards I headed out to the bar area where I performed for another hour with a crowd of people gathered around me, performing some of my parlour and close up routines. The main thing to take from this particular event is that nothing is set in stone in regards to schedules and ultimately my main interest is in everyone getting to see a performance, a performance that they will never forget. It was a fantastic evening and I had a great time performing for everyone. If your’re after a table magician in Northamptonshire please get in touch to discuss in more details. On Saturday night I found myself performing at a 30th birthday party at The Marriott hotel in Northampton. This was my second booking of the day. As luck would have it the wedding I performed at earlier in the day was only 10 miles away so I had a nice leisurely drive over, as opposed to the more frequent 100 miles between gigs and the knowledge that an accident on the roads ahead could cause me to be late! The event was a fairly formal sit down meal, things were to get a little rowdier later but I’d be on my way home by this point. The vast majority of the guests were Nigerian which created some interesting problems for me. The first was, if I asked someone to think of a name and they thought of a Nigerian name I’d never heard of, would I still be able to work it out? The answer was, almost. My spellings were generally off but the phonetics were close. I always find reading facial expressions of people from different cultures fascinating. 99% of the time we are all identical but there are some inherent idiosyncrasies that differ depending upon country of origin and age group. Ultimately though, no matter where you’re from, as long as we can speak the same language, I can read your mind! Even when we can’t speak the same language I can get you to draw a picture and will be able to tell you what you’re thinking that way. It was a really fun evening with a super responsive audience. I stayed about an hour late chatting to people about what I do and how it’s possible. Very pleased to have an email from someone this morning who saw me last night booking me for another event. 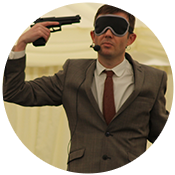 If you’re after a Northamptonshire magician for your event please get in touch.